Do you find yourself carrying around a beach bag full of non essential items that just end up weighing you down? A quick peek inside will show all sorts of unnecessary items that you probably don’t need to be lugging about with you. Somehow all sorts can end up jumping into the bag when were not looking especially toys if you have children. Of course we all need something to help us relax and take our minds away to another place. Make sure you take that novel you’re been wanting to read for ages but have just never found the time. I never read when I am at home, the only time I get to do this is when I go on holiday so I make the most of it with a good horror, fantasy or thriller or one of each. Sunglasses with UV protection as we need to help keep our eyes protected from the glare of the sun off the sand and ocean. 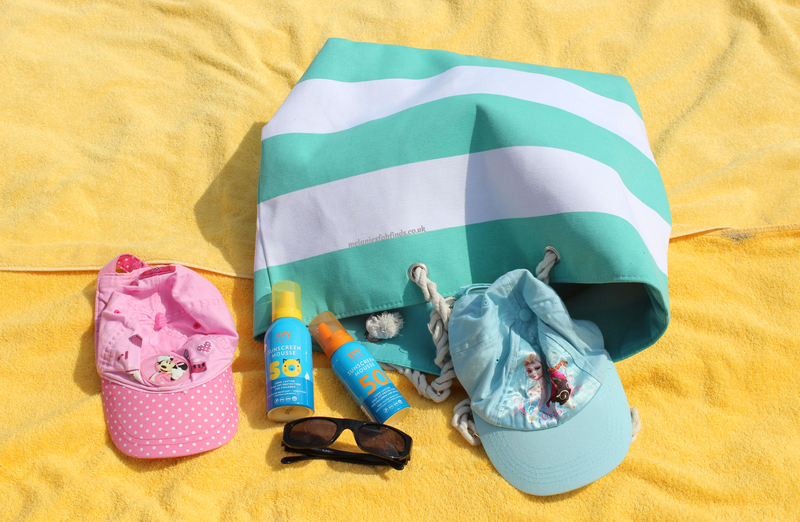 A sun hat to help keep your face shaded and help prevent unwelcome signs of aging. I find oversized hats great for this as they help cover the head and shoulders and offer shade to the shoulder blades and neck and chest. (I bought this beach bag from Home Bargains about a month a go for about £5 and so far it has served me well.) It doesn’t zip up as there is no zip but then the chances of me managing to fasten a zip with 5 beach towels and my other essentials are pretty slim. As high a sunfactor as possible. I always use factor 50 on my whole family. I’d rather be safe than sorry! I discovered an award winning Swedish brand who have launched a cutting-edge range of unique sun protection that is medically proven to mimic the skin’s natural protection, give up to 6 hours protection and penetrate the entire top layer of skin rather than staying on the surface (the Swedish Vitiligo Society has named EVY the safest sun protection on the market). You can see why I was so taken by it and added it to my beach bag. It’s perfect for family visits to the beach or an outdoor / hotel pool. 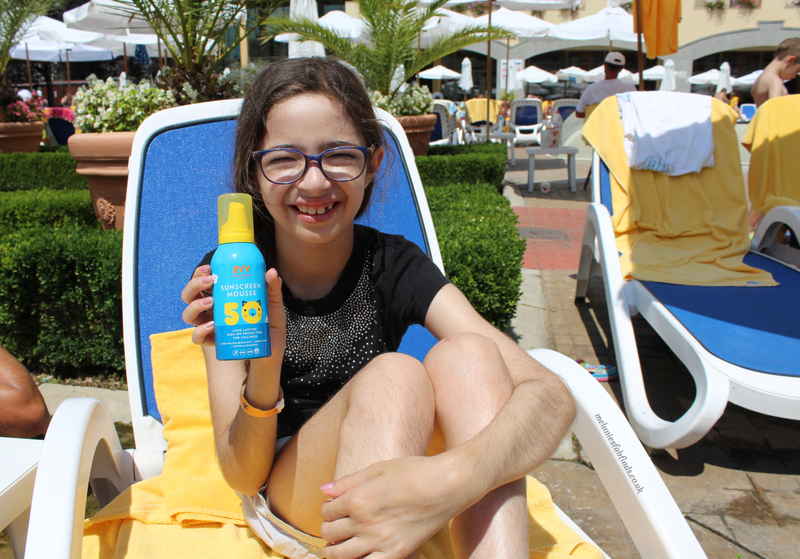 What appealed to me was that it doesn’t rub off when you swim, sweat or dry yourself with a towel and provides extra long-lasting protection against both UVA and UVB radiation. EVY also protects against heat, wind and water-based stressors like chlorine and salt water, as well as other skin irritants. Having used both the adults and children’s versions I love that they come as and easy to dispense mousse, don’t clog the pores, protect the skin against dehydration and premature ageing by the sun, can be used under make up and also on the scalp and hair. I didn’t need to worry about sensitivity as they’re suitable for all skin types. A lip balm with sun protection. The higher the better, the best I have found is factor 30 so far. If you know of any that have a higher SPF then please do let me know. I made sure e all reapplied often as this will come off when you drink or lick your lips. It’s important to stay hydrated when it’s hot as we use water to help us cool ourselves natural through sweating. Hair bands for those with long hair to keep it out of the way plus a few extra to flick at daddy when he isn’t looking. As it means you can make a nice neat pony tail and also fix the hair into a tidy style when you are preparing to leave the beach. Great to take some pictures that will make lasting mementos of the trip. Waterproof cameras are great for those underwater shots of fish and the kids holding their breath and making funny faces. Some money for snacks etc. Especially if you have children, they always magically get hungry the minute you step onto the beach or the second you have settled and unpacked. I always like to make sure I have small notes and change options. Off course if you have children then you might want to add some additional items such as wet wipes, beach toys, etc. What always makes it into your beach/pool bag? 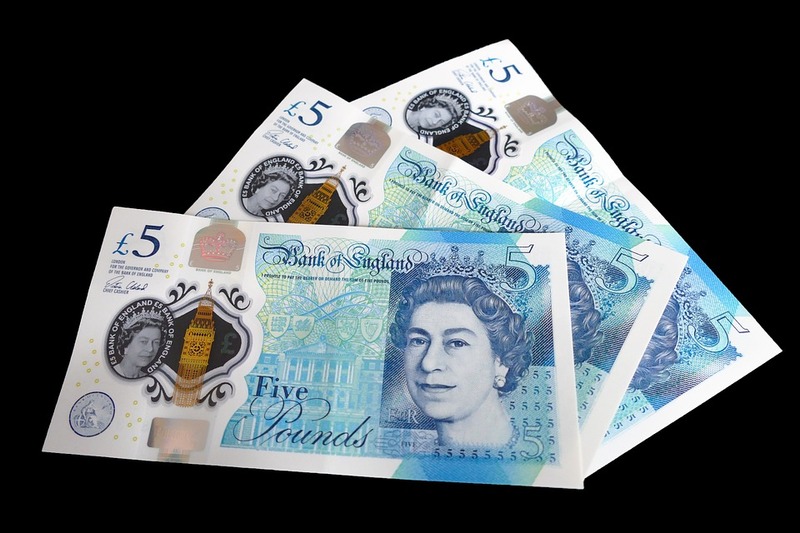 Okay, best tip here…having cash. I am terrible TERRIBLE at carrying cash with me. Great advice. Cash is always a biggie. Mine always need a drink if we forget them or an ice cream to cool off. I agree, sunglasses, hats, cash and maybe even a game ..? Like a frisbee or a blow up football ..? Helps pass the time and adds a little bit of fun. Games are good especially for keeping little ones entertained. You’re organised, I’m always putting everything together at the last minute! Ha, I like to do things well in advance. Water and sun cream are a must whenever you are out and about are a minute. I think a good book would be key as well. Sun cream with a high SPF is always top of my list. The lipbalm with sunscreen in is such a good one 🙂 I often forget that and it’s one of the first places to burn too! That’s a great idea although unfortunately wouldn’t work for me as I go with the family. Would you believe this bag carries quite a few towels. It sure is. I love it! That is a biggie. i always carry spares. I’m off on a beach holiday in a couple of weeks so this is super handy! 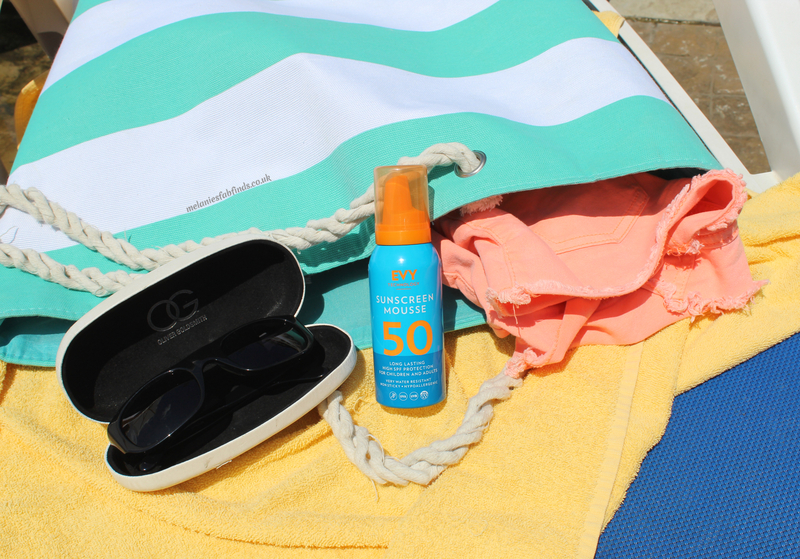 I always take Factor 50 with me too – better safe than sorry! These are some great essentials. I like to há é a bag pre-packed for beach days and it contains all of these things! It’s always good to have just in case.